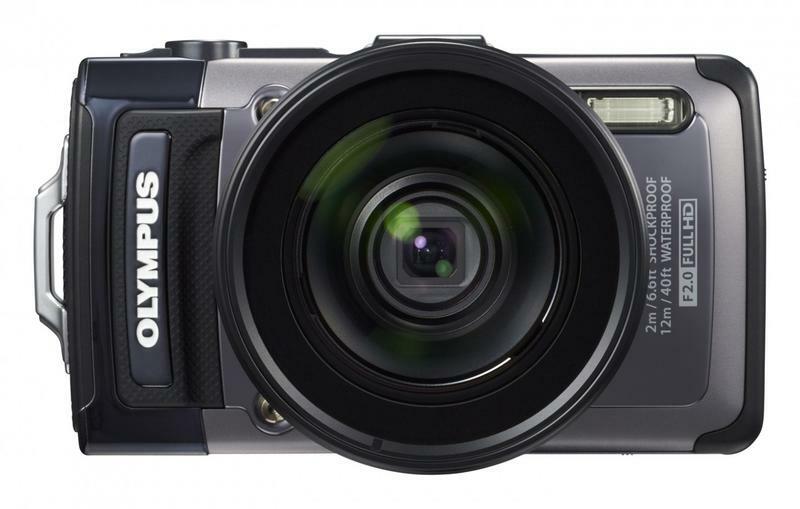 In my time reviewing digital cameras, I’ve never really come across a rugged model that truly knocked my socks off, but it looks like Olympus is attempting to change that. 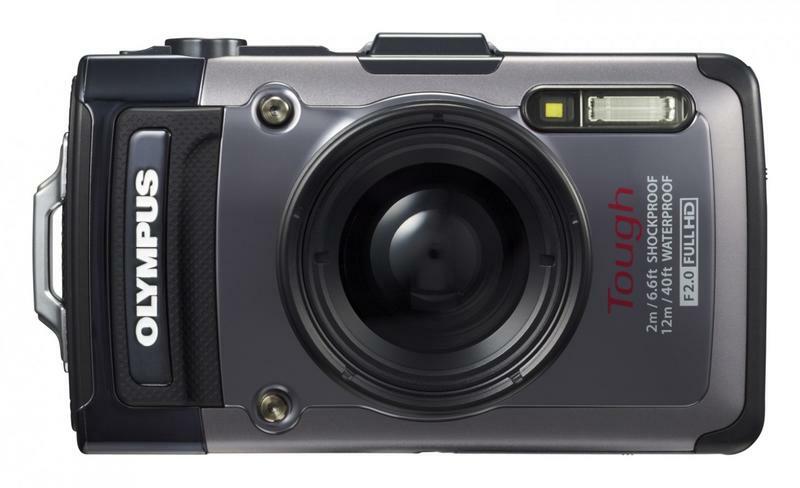 Today the company announced the Olympus TOUGH TG-1 iHS, a new flagship waterproof rugged camera to lead the TOUGH lineup to victory. 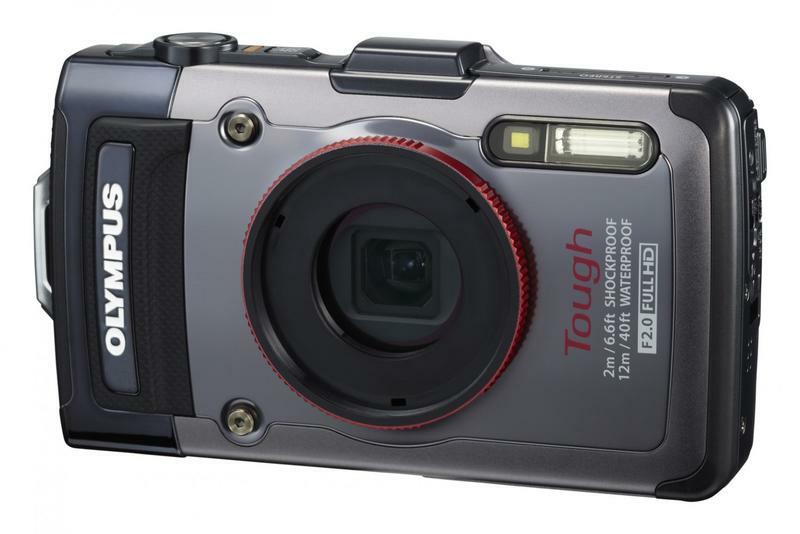 While the TOUGH TG-1 resembles many of its peers from the past, the camera is a whole new animal on the inside. First off, Olympus is touting DSLR image quality with the TOUGH TG-1 iHS, but we’ll be the judge of that later this summer. The camera will host a 1/2.3-inch (standard point-and-shoot size) backlit CMOS sensor with “DSLR-quality” TruPic VI image processing. Olympus says this sensor will offer “improved lighting, less noise and response times twice as fast as traditional cameras.” The jury is out on that one, given the fact that the TG-1’s sensor is of an average size, but we’ll have to wait and see. The TOUGH TG-1 also has a nice, bright f/2.0 lens, which should help it out significantly in low light. One of the coolest things about the TG-1 is that it is compatible with an adapter lens for a Fisheye Converter lens or Teleconverter lens. The camera has GPS and a longer lasting battery, but its new rugged specs are the most enticing item on the menu. 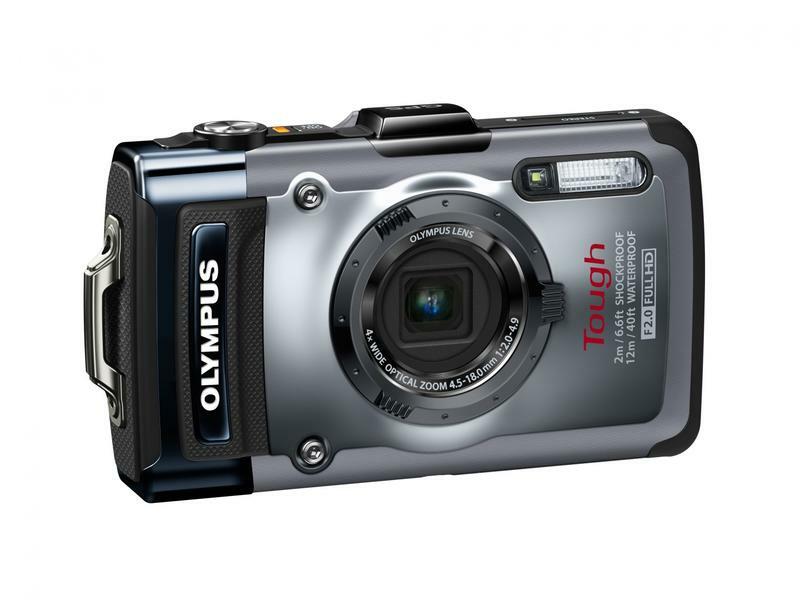 The Olympus TOUGH TG-1 iHS can be submerged down to 40 feet underwater, shockproof up to 6.6 feet, freezeproof down to 14°F and crushproof to a weight of 220 pounds. 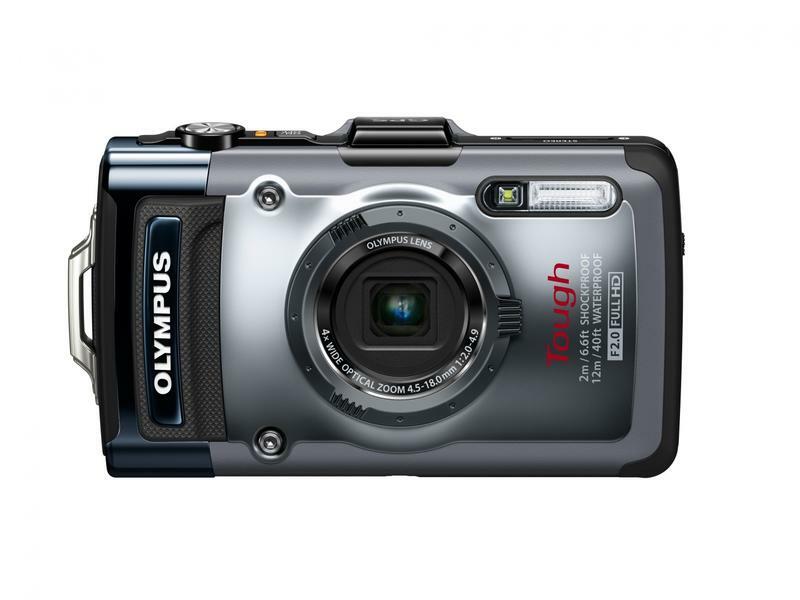 The Olympus TOUGH TG-1 is also the fastest TOUGH camera to date, with “blazing” AF speeds, a 10fps full resolution continuous burst mode and 1080p HD video and 60fps video modes. The camera will be available in Silver this summer for $399.99. 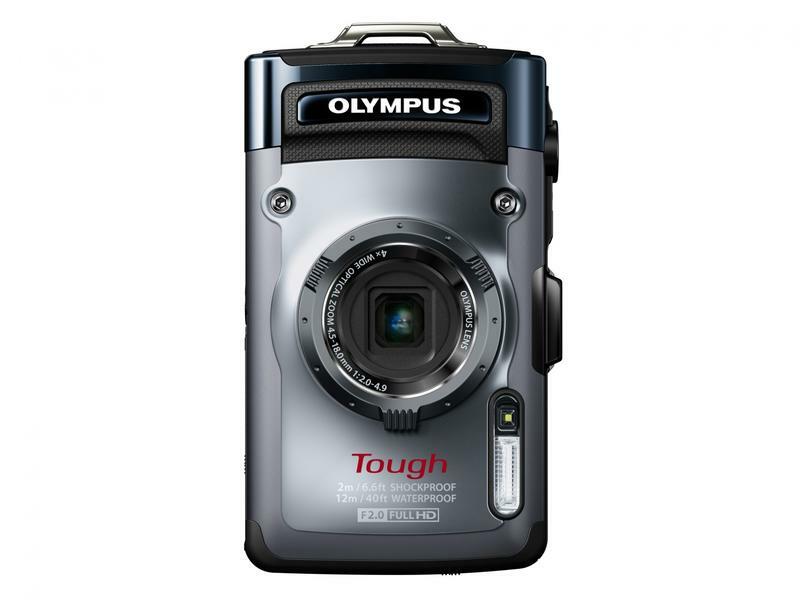 CENTER VALLEY, Pa., May 8, 2012 – Olympus draws on its heritage of creating rugged, durable cameras that take the worry out of life-on-the-go shooting with the new Olympus TG-1 iHS. Marking a revolution for the Tough Series of Waterproof, Shockproof, Freezeproof, Crushproof and Dustproof compact cameras, the Olympus TG-1 iHS combines incredible durability with iHS technology, the world’s first high-speed bright f2.0 lens on a Tough camera and converter-lens compatibility to create a versatile system camera. The combination of durability and outstanding image quality make it possible to shoot in even the harshest conditions. Capture beautiful underwater scenes and aquatic life, snap photos of dusk-lit peaks or record your ride down the rapids in dazzling 1080p Full HD Video. 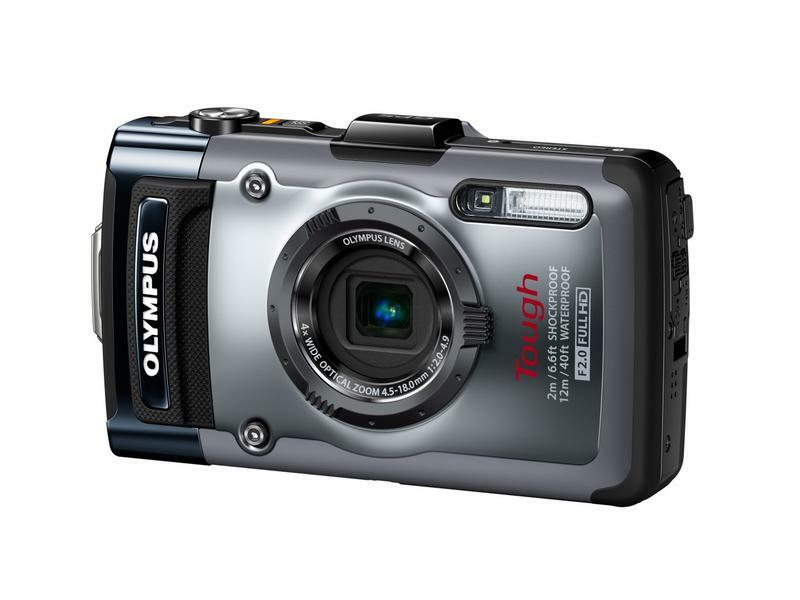 The Olympus TG-1 iHS is the world’s first rugged camera to incorporate an ultra-bright, high-speed f2.0 lens* so you can capture high-quality images at blazing fast shutter speeds, even in low-light conditions. The camera’s three-inch high-resolution OLED display (610K dots) provides excellent visibility in bright situations, enabling you to compose the perfect shot in direct sunlight. Protective coatings help to prevent scratches and cut down on reflective glare, and the new lens on the Olympus TG-1 iHS transforms your photographs with the same FAST AF system technology found in Olympus PEN® cameras. Never worry about water droplets obstructing your images thanks to the water-repellent lens coating that prevents water from remaining on the lens surface. From atop an Alpine mountain to the depths of a tropical lagoon, the Olympus TG-1 iHS captures the perfect shot in unforgiving environments. Waterproof to 40 feet, Shockproof to 6.6 feet, Freezeproof to 14°F and even Crushproof to a weight of 220 pounds, the flagship Olympus Tough model is the toughest Tough model to date and an exceptionally high-speed performer with faster start-up time and quicker refresh rates. A high-sensitivity, high-speed 12-megapixel backlit CMOS sensor combined with a blazing fast, DSLR-quality TruePic™ VI image processor results in high-speed autofocus, enhanced Intelligent Auto for spectacular scene and subject recognition, and 10x Super-resolution Zoom to produce jaw-dropping images in locations that make even the most seasoned photographers cringe. This family of technologies combines for unmatched image quality in challenging shooting conditions with improved lighting, less noise and response times twice as fast as traditional cameras. Designed specifically to keep up with the on-the-go photographer, the new Super Sport Mode combines high-speed autofocus with extra fast shutter speeds – up to 1/2000 – to freeze the action. Conveniently located on the dial, this mode captures five shots in a high-speed burst to ensure crisp shots in even the most extreme action sport settings. Low Light Mode is perfect for capturing the mood of low-light indoor scenes, beautiful sunsets or late night outdoor festivities without ruining the ambiance with a bright flash. Shoot like a pro with 10 frames-per-second high-speed burst shooting and 1080p Full HD videos (1920×1080 pixels) or 60 frames-per-second (3mp) at the touch of button, allowing for slow-motion playback. Thanks to iHS Technology, your videos will benefit from excellent color reproduction and faster processing speeds, while Multi-Motion IS compensates for user movement during recording, creating smoother videos. Linear PCM Recording, an audio technology pioneered by Olympus for professional voice recorders, records your videos with high-definition audio for optimal playback results. In iAuto mode, the Olympus TG-1 iHS automatically detects the subject, lighting and situation to identify the scene you’re shooting – up to 30 different scenes including Night, Sport, Beach and Snow, Underwater Snapshot and Backlight HDR – and adjusts the settings for ideal results. 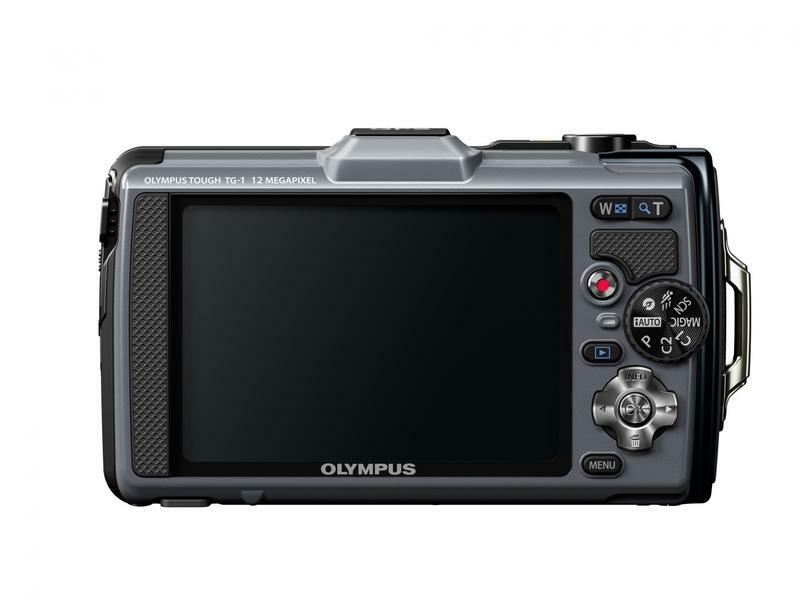 For serious photographers, Olympus is offering system expandability for the Olympus TG-1 iHS. 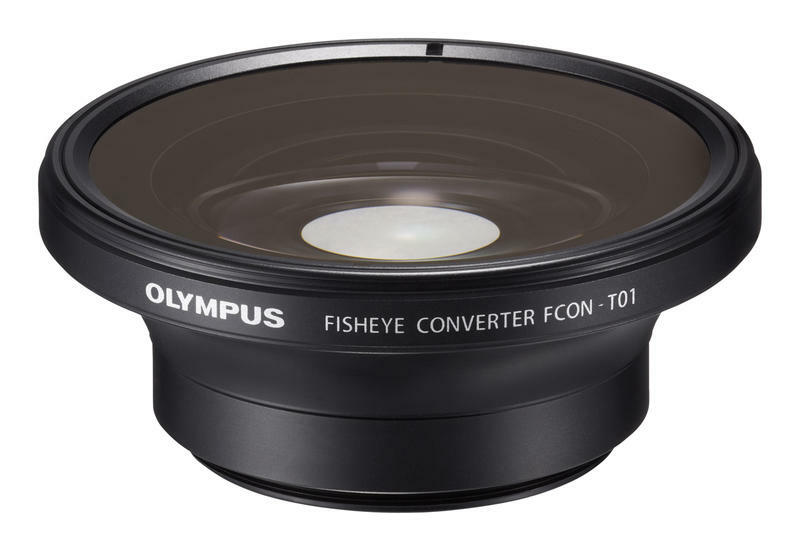 A converter ring allows you to add a lens converter adapter, waterproof Fisheye Converter Lens and Teleconverter Lens for use on land or in water. The Fisheye Converter Lens captures panoramic, wide-angle shots without sacrificing the brightness of the 4x wide optical zoom (25-100mm*) f2.0 lens. 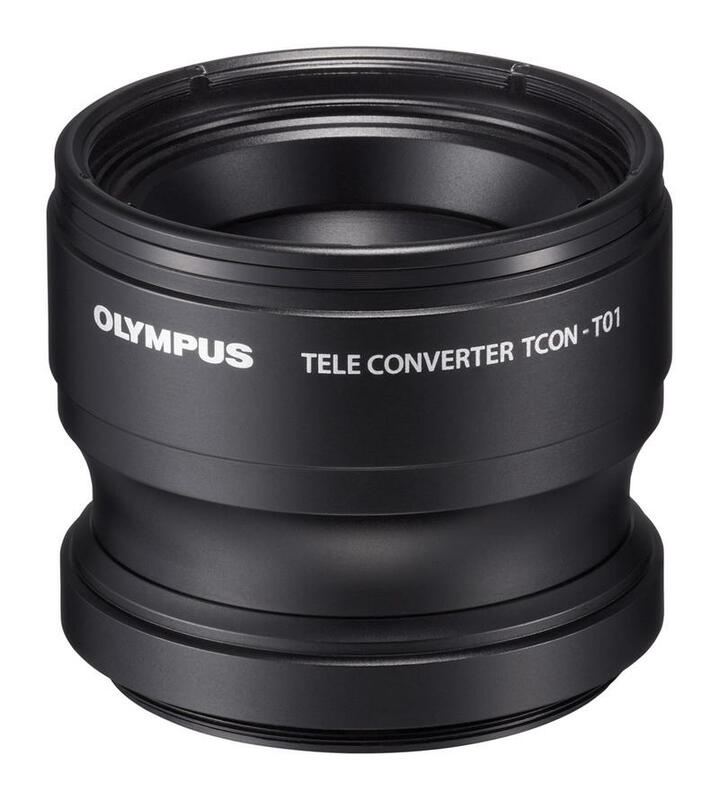 The Teleconverter Lens extends your optical zoom from 4x to 6.8x, delivering dramatic close-ups with professional-looking background blur. Combined with the Olympus TG-1 iHS’ 8x Super-resolution Zoom, which extends the range of the optical zoom with virtually no loss of image quality, you can reach an unmatched 13.6x magnification. Both converter lenses are waterproof to 40 feet. If 40 feet is not deep enough for you, the new Olympus PT-053 underwater housing is designed specifically for the TG-1 iHS, enabling you to dive to depths of 135 feet (45m). 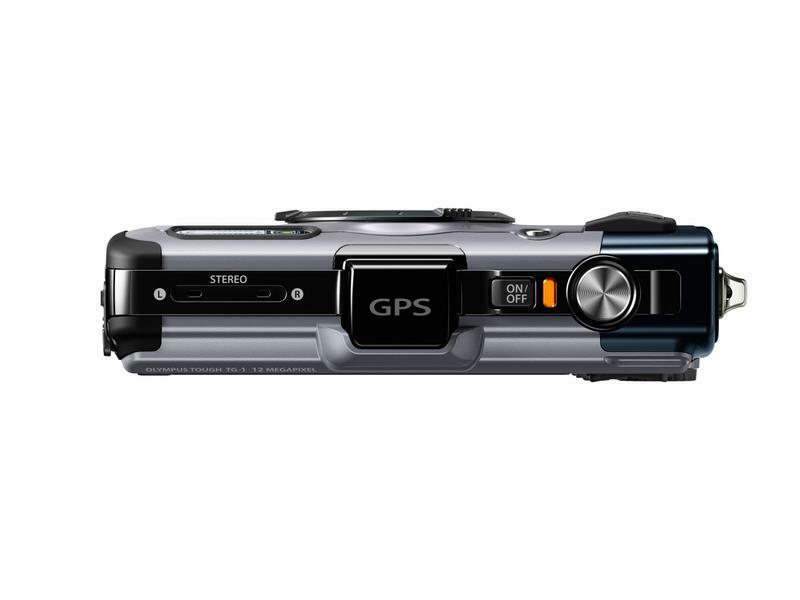 With the GPS and e.compass functions on the Olympus TG-1 iHS, location and landmark information will be displayed and recorded along with every image. The camera is also equipped with a logging function so you can track the route taken from recorded images by using applications such as Google Earth and Picasa. And with the brand-new LI-90 battery, you’ll worry less about battery life and more about your next destination. Mark your spot on the map with the built-in manometer, which records elevation and water depth and even displays a warning when the user approaches a depth of 40 feet. The Olympus TG-1 iHS boasts four different underwater scene modes — Underwater Snapshot, Underwater Wide 1, Underwater Wide 2 and Underwater Macro — each carefully calibrated to allow for optimal color balance, exposure and flash so you automatically get the best results. An LED illuminator on the front of the camera enhances focus and exposure for macro shooting – great for underwater close-ups where light is scarce. The LED illuminator also works in conjunction with the flash to help illuminate your subject in low-light conditions.